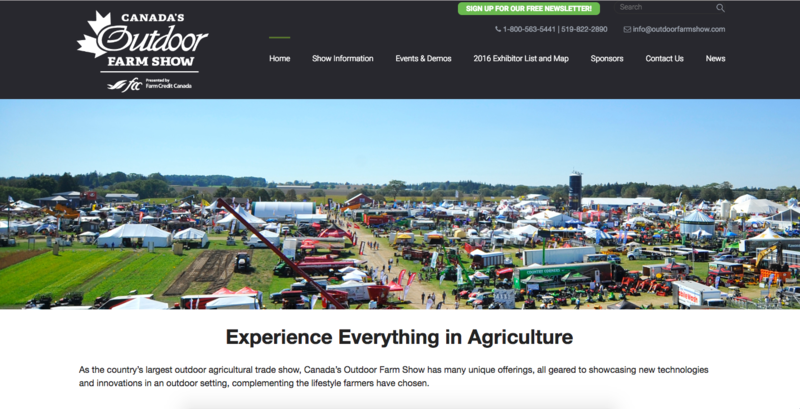 We'll be at the Canada Outdoor Park in beautiful Woodstock, Ontario for the largest outdoor Agribition in Canada this fall September 12th to 14th 2017. This is always a great show with tons of exhibitors and displays as well as informative demos and clinics to take in. We always enjoy taking in this show where we see and learn about the latest innovations and trends in cutting edge agricultural technology. This year's show dates are January 14 - 19th at Prairieland Park in Saskatoon, SK.